Building on the centuries old recipe of our traditional pinole, we knew we could supercharge its amazing health benefits even further. And so we went on the hunt to find ingredients that would be the perfect complimentary fit–combining function and flavor to give you the boost you need. Our search was not unrewarded. After trying several combinations, we landed on the perfect recipe additions to our delicious pinole and created our newest flavor: Tart Cherry + Lemon! Not only are these fruits mouthwateringly sweet-tart, their vitality-boosting powers have made them staples in almost every culture and cuisine, from the jungles of Southern Asia to the mountainous ranges of the Americas. Today, we’ll spotlight the delicious benefits of our Tart Cherry & Lemon pinole, then give you some tips for delicious ways to boost your breakfast. When life gives you lemons, eat them! 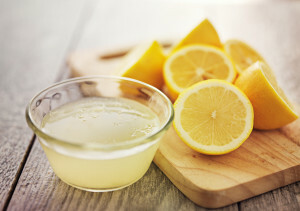 This citrus fruit is remarkably high in vitamin C, known for its ability to strengthen the immune system, preventing infections and helping your body bounce back from illness faster. What you might not have known, however, is that vitamin C also works with calcium to strengthen teeth and bones for long-term vitality, and promotes healthy, radiant skin. Adding these properties (and a twist of citrus brightness) to our pinole gives you health-boosting vitamin C without the sugar of health drinks. 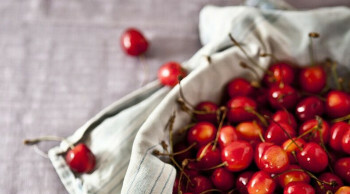 Tart cherry has long been renowned for its anti-inflammatory properties. In fact, its incredible concentration of vitamins and delicious flavor has made it a traditional American Indian remedy for gout and arthritis. Today, these same compounds promote post-workout muscle recovery, improve joint health, and decrease inflammation—helping you build strength and endurance with less soreness and discomfort. So whether you’re looking to deadlift that extra ten pounds or train for an ultra-marathon, tap into the restorative properties of this flavorful fruit for more gain and less pain. Play up the natural tanginess of lemon and tart cherry with a swirl of Greek yogurt and a drizzle of honey—or mellow it out with a splash of coconut milk. We’ve included an extra touch of premium, all natural pea protein to keep you full and satisfied longer. But, feel free to try complimenting our toasted, rich flavor and hearty nutrition with a handful of walnuts, pecans, or almonds for that extra touch. And, to take things to the next level, be sure to check out our pinole bowl recipes for more ways to power your day naturally! 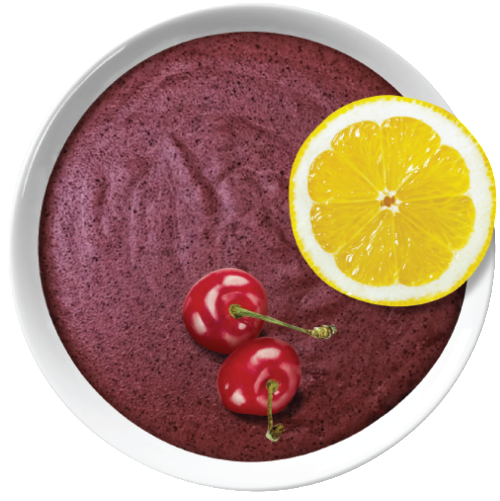 Click here to try our Tart Cherry + Lemon Pinole right now!